Promotion Period: March 1st 2019- June 30th 2019. High Purity, Low Endotoxin, Validated Activity, In Stock. Submit CUSABIO product review in 2 minutes. 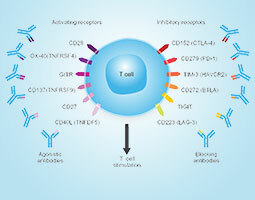 Immune checkpoints are regulators of immune activation by regulating the antigen recognition of T cell receptor (TCR) in the process of immune response. They play a key role in maintaining immune homeostasis and preventing autoimmunity. 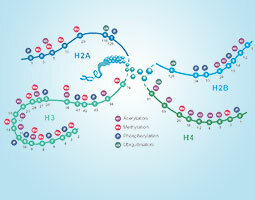 CUSABIO provides highly specific histone-modified antibodies that have been validated by ChIP, WB, IHC, IP, etc., and can be used to detect modified histones in specific gene regions. CUSABIO has been specialized in applying advanced phage display technologies for a wide range of service projects, including key areas of library construction and screening as well as antibody modification and expression. 24T Elisa Kit Trial Size Available Now! 24T trial size is available for all ELISA kits except food safety ELISA kits. The price is only $150/kit and free shipping will be offered. Quality is guaranteed. As a manufacturer of antibodies, proteins, ELISA kits and related reagents, our only mission is to provide the best products and related custom service to researchers so that they can have a good starting for the next breakthrough. Cytokines are a large group of proteins that are important in cell signaling. 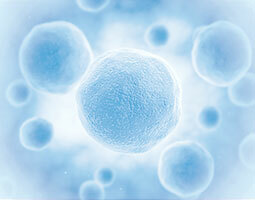 Their release has an effect on the behavior of cells around them. 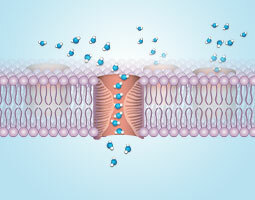 Transmembrane proteins are a group of integral membrane proteins that attach the biological membrane permanently. 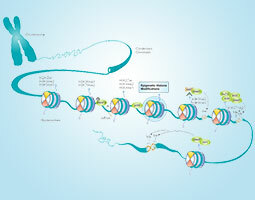 ChIP is a type of immunoprecipitation experimental technique used to investigate the interaction between proteins and DNA in the cell. Immune checkpoints are regulators of immune activation by regulating the antigen recognition of T cell receptor (TCR) in the process of immune response. CUSABIO provides highly specific histone-modified antibodies that have been validated by ChIP, WB, IHC, IP, etc. 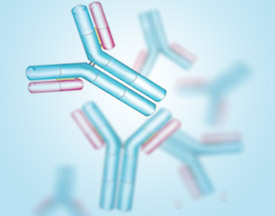 CUSABIO Tag/Control Antibodies include highly specific monoclonal and polyclonal epitope tag antibodies to the most common tags used by researchers. CUSABIO technical team consists of scientists with Doctorate and Master Degrees. They will be always here for you whenever you need them. In addition, we also provide detailed protocols for your reference. Detailed Protocols and experiment guide are prepared. After more than 10 years'effort, CUSABIO has distributors covering most countries and areas all over the world. They can always provide efficient services for you. CUSABIO always keeps on improving production efficiency and controlling the cost under the premise in quality so that we can provide products and services for customers at affordable price. We are here to promise you all CUSABIO products have passed the QC standard described in the COA. 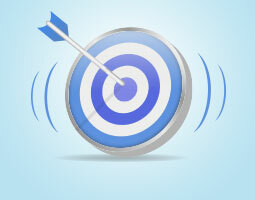 If any products fail to work as stated, our technical team will work with you to fix the issue. If the process doesn't go well, CUSABIO will provide you with a free replacement or a 100% refund for the product. Mouse Heat Shock Protein 90, Hsp-90 ELISA Kit referenced in "ZIP4 Promotes Muscle Wasting and Cachexia in Mice With Orthotopic Pancreatic Tumors by Stimulating RAB27B-Regulated Release of Extracellular Vesicles From Cancer Cells".Gastroenterology. 2019. Recombinant Mouse Serum amyloid A-3 protein (Saa3) referenced in "Fpr2 Deficiency Alleviates Diet-Induced Insulin Resistance Through Reducing Body Weight Gain and Inhibiting Inflammation Mediated by Macrophage Chemotaxis and M1 Polarization". Diabetes. 2019. Mouse Transthyretin (TTR) ELISA kit referenced in "Non-viral delivery of zinc finger nuclease mRNA enables highly efficient in vivo genome editing of multiple therapeutic gene targets". Molecular Therapy. 2019.